The run-up to Christmas can be a stressful time: cards to write, presents to buy, parties to attend. So much to do. But four years ago, we could barely focus on the festive season. All around us it seemed everyone was excited about Christmas, but for us there was a huge obstacle in the way. Our 3-month-old daughter was about to undergo her second open-heart surgery. While everyone else seemed to be caught up in the hustle and bustle, we focused on family time and making memories. Enjoying the time we still had together and not knowing what the future would bring. While those around us were doing their Christmas shopping, we were praying in a hospital chapel, pacing the floor and trying to fill those endless hours while our baby was in surgery. 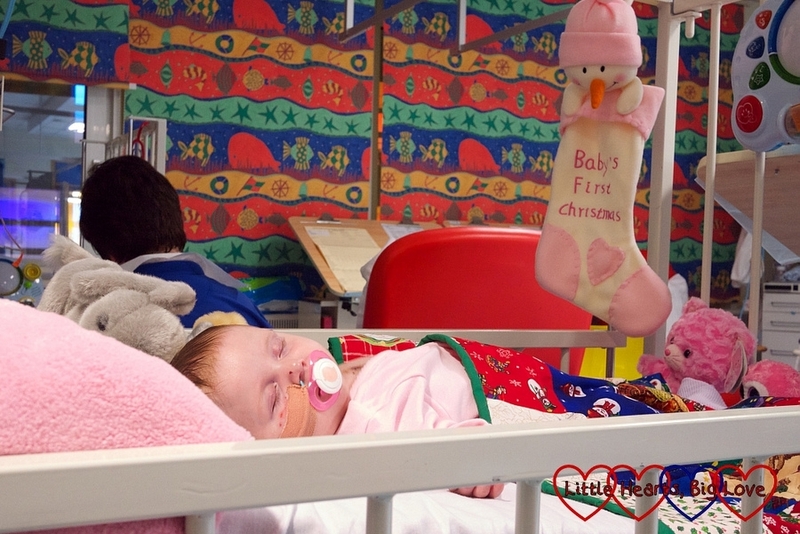 Those last few shopping days before Christmas were spent sitting beside a bed on the pediatric intensive care unit as our daughter recovered from surgery. The biggest excitement on Christmas Eve was our daughter being well enough to move from intensive care to high dependency. We sent only a handful of cards. What little Christmas shopping we did was done in one afternoon when we managed to leave the hospital for a few hours. When I woke up on Christmas morning, I found a stocking next to my daughter’s bed with a few small gifts from Santa. My hubby and I had not been forgotten, either; there was something for each of us. Just a small present but it meant a lot. We spent most of Christmas Day with our daughter. 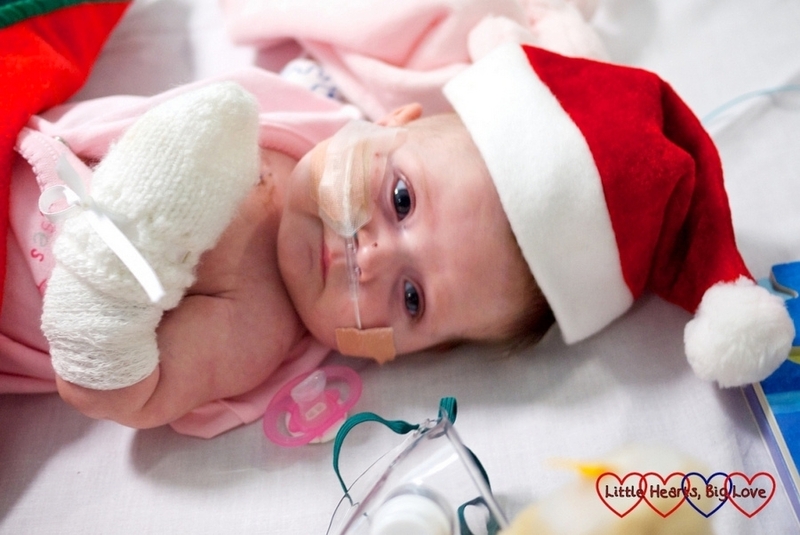 She gave us the best gift ever that morning: the first smile since her surgery. Being able to enjoy cuddles with her again after over a week of not being able to hold her at all was utterly blissful. Hubby’s parents came to visit, bringing Christmas dinner with them. We had been given the key to a friends’ house. They were away for Christmas but invited us into their home so we could enjoy our Christmas dinner in comfy and cozy surroundings. A brief time to step away from the hospital routine and recharge our batteries. Later that evening, another friend visited, bearing presents and food and taking time out of her own family Christmas to help make ours better. We weren’t surrounded by machines, tubes and wires; we were surrounded by love and prayers, family and friends, thoughtfulness and kindness. I learned more about the real meaning of Christmas that year than in all the other Merry Christmases I have experienced since. I learned it didn’t matter where we spent Christmas; the fact that we were together was really all that mattered. I learned just how kind and generous people could be. I learned the best gifts were those that money could never buy: a smile, a cuddle and the love and support of family and friends. I learned that Christmas didn’t have to be perfect to be magical. As long as there was love, there would be magic. I learned to be thankful for what I had, to enjoy the moment and to focus on the things that really were important. 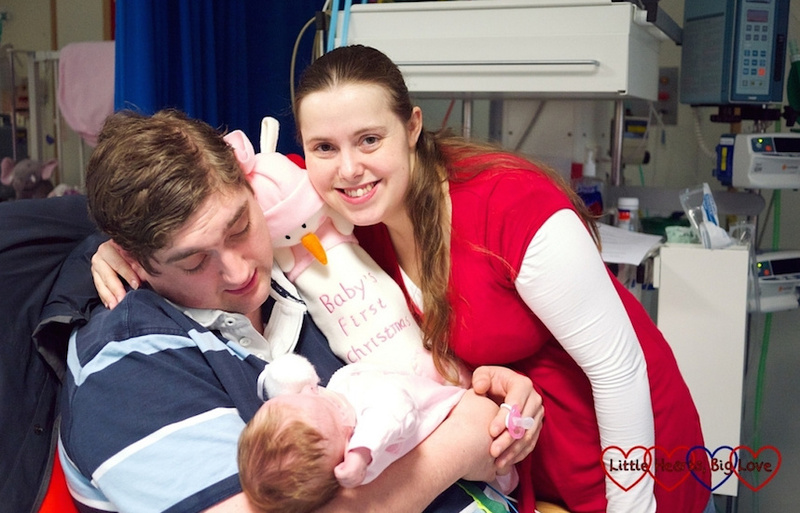 Being in hospital wasn’t where I would have ever chosen to spend our first Christmas as a family, but the memory of it is a beautiful one. There was love, there was joy and there was magic. We had each other, and, therefore, we had everything. The Mighty is asking the following: What’s one thing people might not know about your experience with disability, disease or mental illness during the holiday season, and what would you say to teach them? If you’d like to participate, please send a blog post to [email protected] Please include a photo for the piece, a photo of yourself and 1-2 sentence bio. Check out our Share Your Story page for more about our submission guidelines.